While thinking about bankruptcy can feel like a failure, it can actually be the first step to success when wiping out your debts. In fact, many reasons for falling into financial turmoil are at no fault of the oppressed. These can include suffering injuries, being laid off from a job, overwhelming credit card debt, the inability to find work, and more. But regardless of the reason, speaking with an experienced bankruptcy attorney at Berry K. Tucker & Associates, Ltd. can provide some relief to your situation. As many Americans are familiar with the term “bankruptcy,” it is a legal transaction designed to eliminate consumer debt and provide a “fresh start.” However, what they do not realize are the different types as well as the requirements for each in order to qualify. Despite these various forms, the two most common include Chapter 7 and Chapter 13. Berry K. Tucker & Associates, Ltd. is available at (708)425-9530 in the Alsip, IL area to provide assistance to those who are struggling with their consumer debt. Each bankruptcy attorney has years of experience and will educate you on the legal process to help you determine if filing is the best option for you. Whether you have been severely injured, lost your job, or do not have the funds to pay off your debt, this financial burden can become overwhelming. While it can certainly feel as though there is no way out, always remember that you have options. Ultimately, if this debt is keeping you up at night, do not hesitate to reach out to Berry K. Tucker & Associates, Ltd. Car Repossession: If debt collectors are constantly calling to remind that your car payment is due, the stress can become overwhelming. Especially when you need the car to get to and from work, the situation becomes worse when you no longer have the means to do so. However, a professional bankruptcy attorney can explain to the debt collector that payments would not be possible without this car, and even negotiating a lower payment that allows you to save it from repossession. 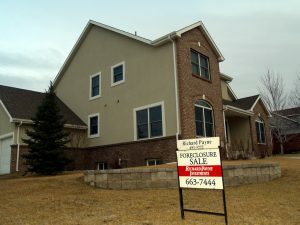 Avoiding Home Foreclosure: The thought of losing your home to foreclosure can be a scary situation, especially when you have a family to feed. But filing for Chapter 7 with the help of a bankruptcy attorney will stop the harassing calls from the debt collectors and lower your monthly payments that allow you to keep your home and continue providing for your family. Wipe Out Medical Debt: While there is no question that you must be treated for any injuries at any point in time, the medical bills can pile up quickly, including anything from surgeries, tests, and even that horrible hospital food. In addition, being out of work can set you back on other monthly bills as a result of a halted income. But thankfully, speaking with an experienced bankruptcy attorney at Berry K. Tucker & Associates, Ltd. can help eliminate this headache altogether. Retaining Personal Property: One of the many reasons people are afraid of filing for bankruptcy is because of the myth of losing a home, car, personal possessions, retirement plans, and cash. However, none of this is true as Chapter 7 highlights the condition that these can be kept as long as lower payments are negotiated. Our professional bankruptcy lawyers will help you fight for your personal belongings while speaking with your debt collectors about a new payment plan. 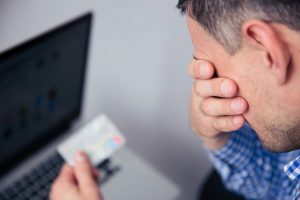 Eliminating Credit Card Debt: Nothing can be more frustrating and stressful than to receive countless calls from creditors reminding you that your payment is due. Of course you are already aware, but the pressure to pay can be overbearing, even though the budget doesn’t come close to satisfying the debt. However, speaking with a bankruptcy attorney about Chapter 7 can help you climb out of this financial turmoil, finally stopping those harassing calls from debt collectors. 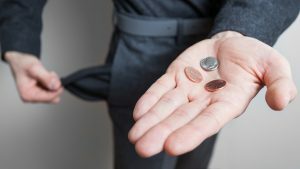 In any situation that you have found yourself unable to pay off your debt due to a lack of income, never hesitate to speak to a professional bankruptcy attorney at Berry K. Tucker & Associates, Ltd. in the Alsip, IL about Chapter 7. They can provide some much-needed relief to your situation while guiding you through the legal process. While you may already have sufficient income, paying off significant amounts of debt can seem like forever. Feeling like you are working only to give your money away to debt collectors can also be frustrating as you are not able to benefit from your efforts. However, there is a way around this stress when working with a bankruptcy attorney to establish an installment plan that allows you to pay off these debts while still enjoying your money. After filing for Chapter 13, you will be set up with an affordable payment plan in which allows you to pay off these debts within a 3 – 5 year period. This can also be extremely helpful for families who are facing foreclosure and must provide for their children. In addition, it will help reduce or even eliminate any debt incurred from medical bills and credit cards. While thinking about the significant amount of debt can indeed be stressful, especially in the situation of threatened foreclosure or repossession, it is important to remember that there is always a way out; speaking with a professional bankruptcy lawyer about filing for bankruptcy can provide some much-needed relief to your situation. The attorneys at Berry K. Tucker & Associates, Ltd. have years of experience in helping clients overcome their financial depression. When contacted early in the process, we can help you determine the best solution for you while guiding you in the legal process to financial freedom. For a professional bankruptcy attorney in the Alsip, IL area, contact Berry K. Tucker & Associates, Ltd. at (708)425-9530. Is Filing for Bankruptcy the Right Choice For You?